We've been home for 13 days so far and the last two have felt like the worst weekend of childhood, the kind where your parents have an endless list of chores for you to complete. We are getting stuff together for a rummage sale my Mom's friend is having, so we've been helping to fill crates with books, garbage bags with soft items (clothes, blankets, pillows), and boxes with everything else. Then we haul everything to a central location where it's going to be picked up by people from the organization it's going to. Ed's been our Sanitation Engineer so he throws away everything we deem trash. Most of my work has been inside the house which is good since there's air conditioning. It's still way too hot outside for me to cross the threshold to the outside world. Today was my busiest day. I went to a linen store closeout sale with my mom, hit the grocery store, did three loads of laundry, and made two giant lasagnas. 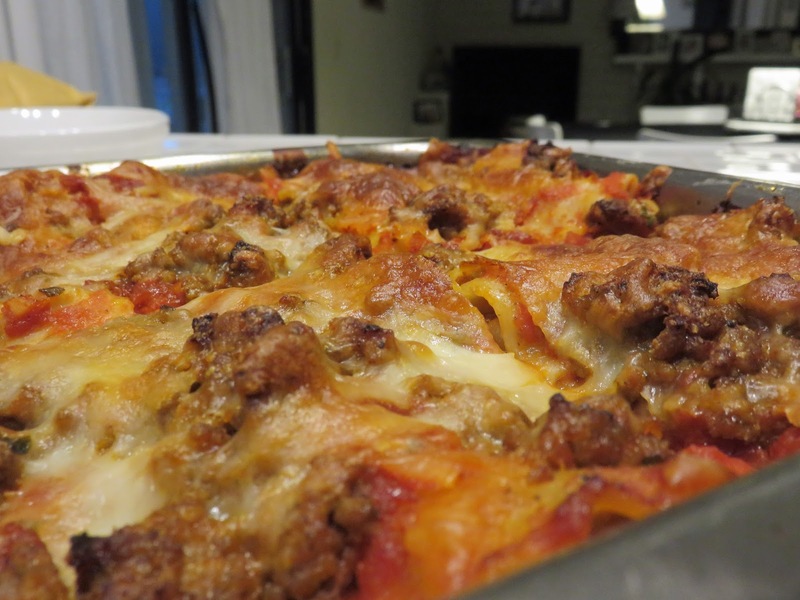 Next week is my mother's birthday and she requested lasagna for her poker chickenfoot game. I made one for her and froze it, and the other we'll use for tonight's dinner with the leftovers being frozen for us to bring in the truck. Last week I made a huge vat of chicken soup and froze some of that too. I'd do more but the freezer in the truck isn't big enough to stock that much food. That might have to go on our future sleeper wishlist. Tonight I'm going to have a big cup of tea and ice cream. The lasagna made my mouth water. Enjoy!